Beautify and protect your skin with Glymed Plus Cream Foundation! Glymed Plus Cream Foundation provides a flawless complexion while protecting the skin from environmental damage that leads to aging. GlyMed Plus Cream Foundation is the perfect way to enhance your natural beauty while protecting your skin from environmental damage! Available in seventeen rich colors to match all skin tones, GlyMed Plus Cream Foundation glides smoothly across the skin, perfectly concealing blemishes while providing a uniform, even skin tone that is rich and beautiful. Use along with your GlyMed skin care regimen and an SPF sunscreen for enhanced skin protection and the prevention of extrinsic aging. Treat your skin, protect your skin, and beautify your skin with GlyMed Plus Cream Foundation! 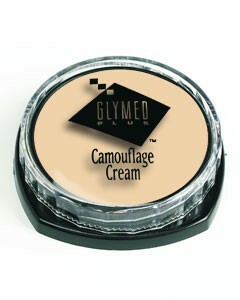 GlyMed Plus Cream Foundation is recommended for all skin types and skin tones. After cleansing, treating, and moisturizing your skin with your GlyMed Plus skin care regiment, use your fingers or an appropriate makeup brush to apply a small amount of GlyMed Plus Cream Foundation to the surface of the face. Start at the center of the face, and work outward, blending the foundation as needed for a natural, flawless look. If needed, add layers of GlyMed Plus Cream Foundation to problem areas or uneven skin tones to achieve a uniform, gorgeous look. The ingredients list for GlyMed Plus Cream Foundation is currently unavailable.